What can OBS.Live – Do for you? OBS.Live is the new kid on the block for OBS versions by StreamElements. If you are not familiar with OBS yet. OBS aka Open Broadcaster Software is the most used broadcaster software that Twitch, Mixer, Facebook and YouTube Gaming streamers use for streaming. OBS is FREE and it provides really awesome tools and add-ons that you need for streaming. There is currently three versions of OBS that are really good for streamers. The latest is OBS.Live, Then there is StreamLabs OBS – Aka SLOBS, and then OBS Studio. After a quite a lot of hype from other Twitch Streamers. I tested out the OBS.Live also and the setup is really clear and you can get your stream up and running asap. The setup is really beginner friendly also! Most certainly the speed. OBS.Live itself is pretty lean and mean like a smexmachine! The really huge thing is that the Overlays are hosted in the cloud. So your computer can use more resources for the actual streaming process. This is really good with lower end computers so you can get good looking layouts and alerts without sacrificing your computer power. What if you would like to still use OBS Studio or Streamlabs OBS and still get your overlays hosted in the cloud? Do not worry! You can also use StreamElements amazing features with them. 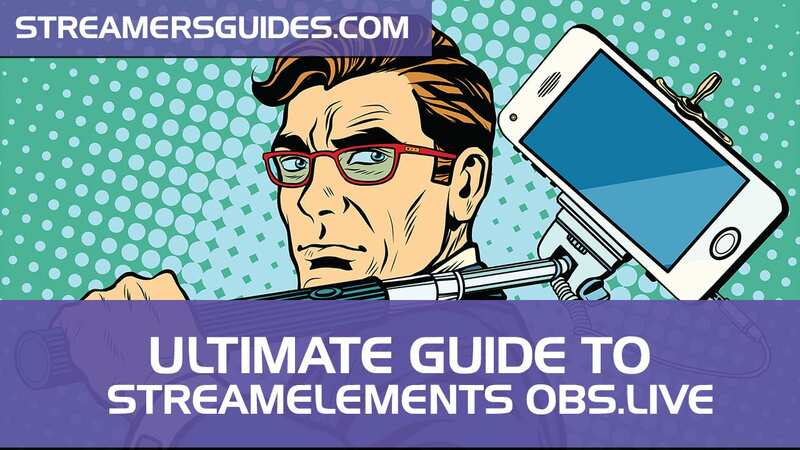 Check out the guide for StreamElements here. With OBS.Live you can get quite a lot! Follower Notifications, Donation Notifications and all those goodies that normal StreamElements offers also. In addition you get access for over hundred overlays that you can use in your stream. Do they cost you anything? NOPE! Credits and +1 rep: These tutorials were made by not one, not two but five different streamers! I love it how you can get a whole set of features covered like this! Show some love for these awesome creators also: RandomGirlSinging, GIRLvsDUMB, ElvannAbendroth, GamingCareers and Onslaught.